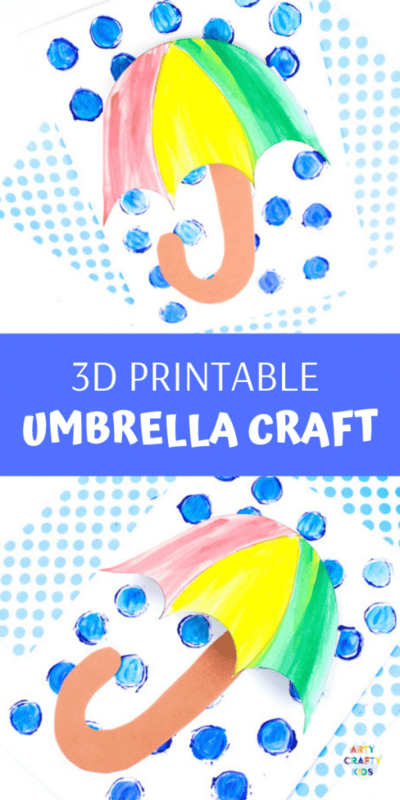 To celebrate all aspects of Spring, we’ve created a fun 3D Printable Umbrella Spring Craft for kids to make during the rainy season. 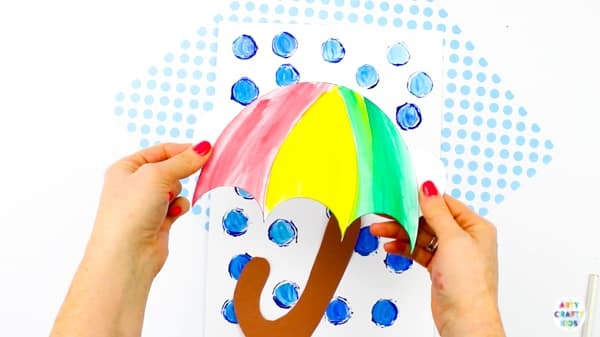 This Spring activity can be split into two parts: Arty Crafty Kids will love exploring materials and printing techniques to create a rainy backdrop and then colouring, cutting and sticking to complete their pictures with a 3D Umbrella. It’s a great way for kids to combine art and craft into one complete piece, while experimenting with shape and textures. 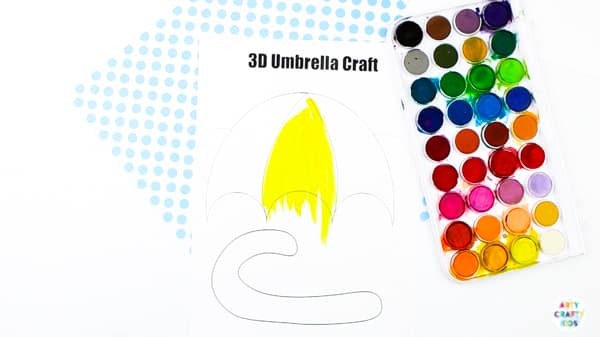 The 3D Umbrella Template is exclusively available to Arty Crafty Kids Club members. Already a member? login here! 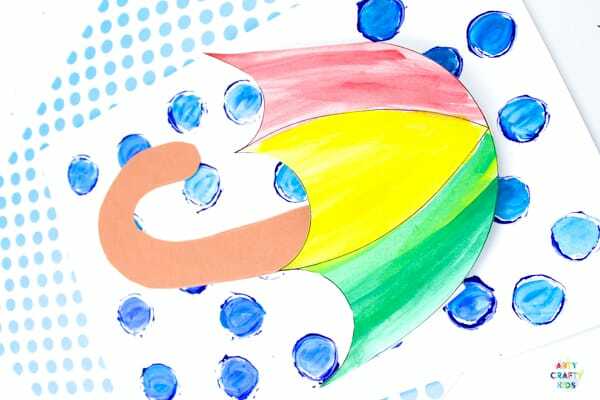 and search 3D Umbrella Spring Craft. Let’s create a rainy backdrop! There a various approaches to this element of the activity. Here, we’ve simply printed circles with a round cardboard object (a former pencil pot). 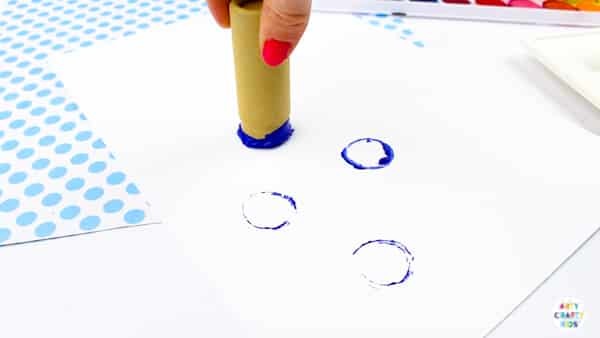 Arty Crafty Kids may also enjoy printing with their finger tips, bubble wrap, a potato stamp cut as a raindrop or with splats! 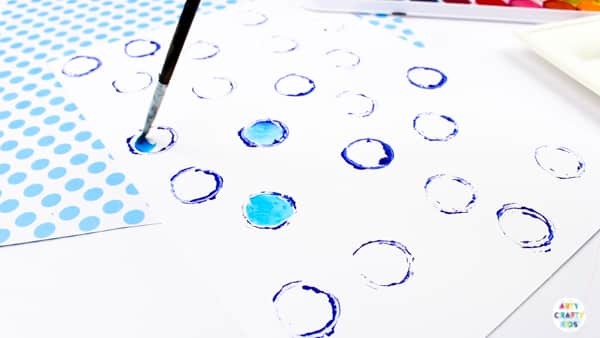 If your Arty Crafty Kids used a round object like us, try filling the circles with watercolour paint. 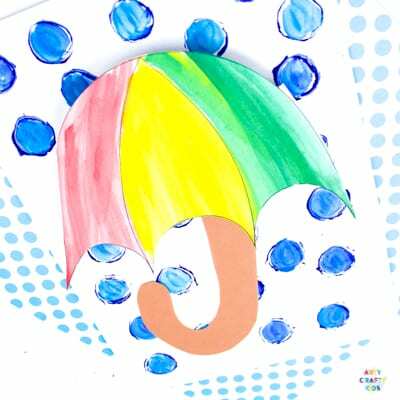 Download and print the umbrella template onto white card stock. Cut out the umbrella elements. 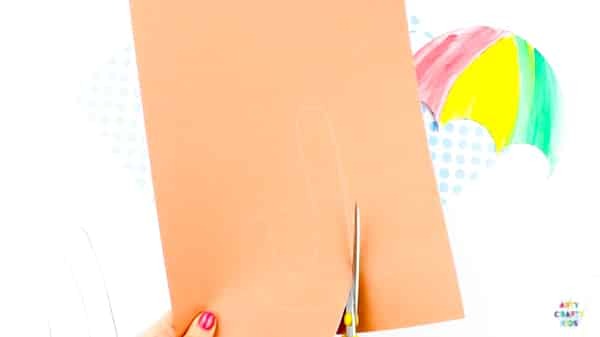 Trace round the umbrella handle onto brown paper (or paint the template brown) and carefully cut it out. Add glue to the two white flaps and fold them under the umbrella so that they will lie flat against the rainy backdrop. Stick the umbrella hood and handle to the backdrop. The 3D Printable Umbrella Spring Craft is now complete! 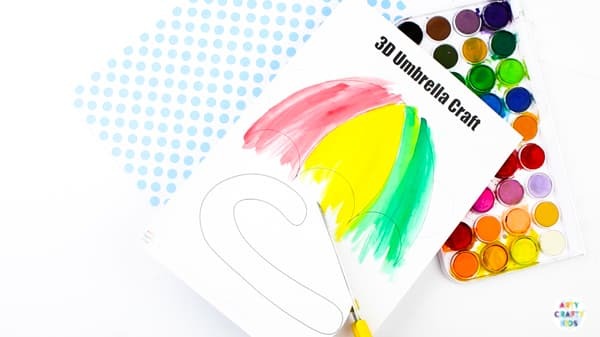 I hope your Arty Crafty Kids enjoy creating their 3D Umbrella’s. While it’s a simple craft, it’s a fun way to explore shape and play with dimensions.